The twin size casting frame is the largest size frame we have available. 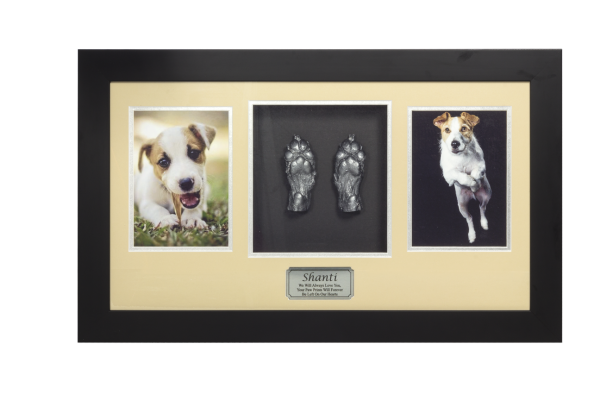 The twin frame allows for the cast paws and two photos to be displayed in memory of your cherished baby at home. Various colour options are available. Please call and talk to one of our Casting Liaison Officers to arrange for your casting memorial.